During a conference call with the leftist political group Justice Democrats, Rep.-elect Alexandria Ocasio-Cortez (D-N.Y.) revealed that she has no idea what the three branches of the U.S. government are. "If we work our butts off to make sure that we take back all three chambers of Congress — Uh, rather all three chambers of government: the presidency, the Senate, and the House," Ocasio-Cortez said in a pitch to recruit more far-left political candidates. After a video of her erroneous statement was widely circulated on social media, Ocasio-Cortez lashed out on Twitter, writing: "Maybe instead of Republicans drooling over every minute of footage of me in slow-mo, waiting to chop up word slips that I correct in real-tomd [sic], they actually step up enough to make the argument they want to make: that they don't believe people deserve a right to healthcare." 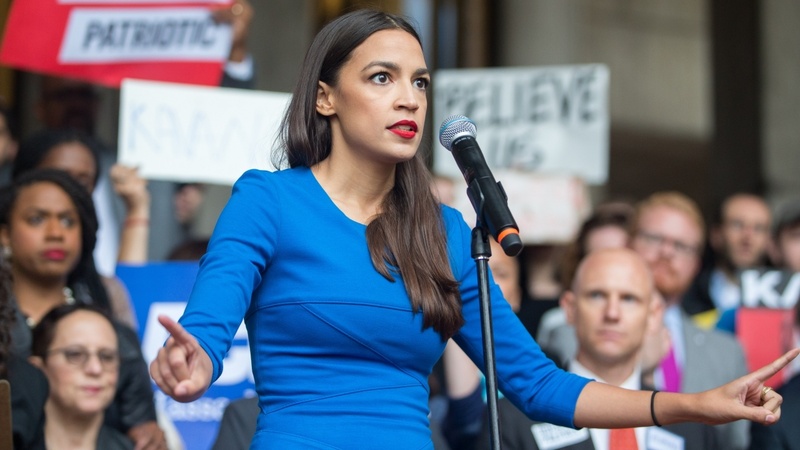 Apparently, the young Democratic socialist believes that the criticism aimed at her has been over her use of the phrase "three chambers of Congress," which she did, in fact, correct to "three chambers of government." "Alexandria Ocasio-Cortez — man, is she setting the world on fire with her brilliance. Every time she opens her mouth, you think 'wow, that is a bright young woman'," Pat Gray said on Tuesday's episode of "The Glenn Beck Radio Program." Pat and Stu Burguiere, who are filling in for Glenn this week, waxed eloquently about Ocasio-Cortez's unusual civics lesson.